Retail is all about trust. Discounts cannot kill retail. “Today’s retail is much different from what it was 5-6 years back.” said Ms Ritu Marya, Editor-in-Chief, Franchise India Group at the Opportunity Summit 2018. Retail stores have been very asset heavy, high investment and extremely big. Nowadays, everything is getting reversed with stores becoming much smaller in size, inventories in the stores are becoming lesser. The whole experience in stores has become highly important to achieve to become a super retailer. Abhishek Mohla, Head E-Commerce and Omni Channel-India, Asics, commented,” At the rental that is available right now, it is unwise to invest in huge properties because ultimately it is the balance sheet that matters.” So it is important to multifold use the space that you possess. Customers must be available, be able to understand the product, and if new, be able to explain your products. A lot of investment is going over to create a customer experience to enhance the store’s performance. Only after this can one create a longlasting customer base. How does the franchisee receive the revenue from the omnichannel? Omnichannel is headed from the head office and when you do any kind of business a certain amount is always transferred to the franchisee. Customer experience is the connectivity of the brand to the customers. How the omnichannel is adopted is a major concern. Once the franchisees see the merit, they will automatically come up to invest. New age brands start their business online n then go online. 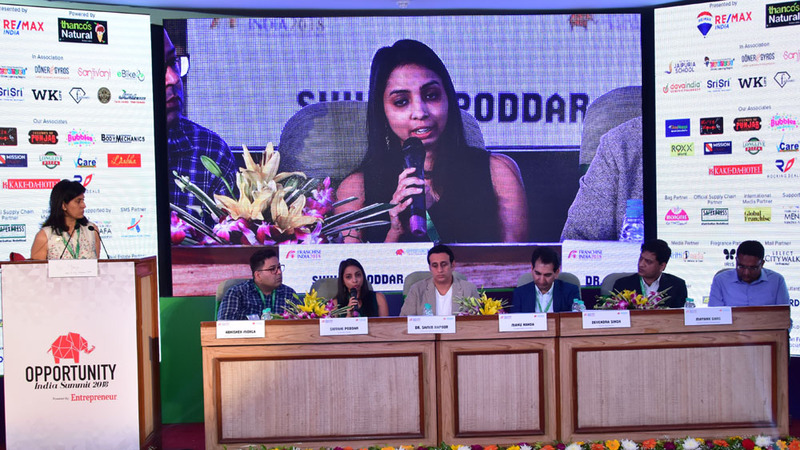 Shivani Poddar, Co-founder, Faballey, said, “The major reason for starting online is because the initials costs are lower as compared to starting an offline store.” Faballey and India started off as an online business to understand the consumer behavior and pricing to an extent, and only then went offline after getting proper statistics of the market demand and a fairly large consumer base. Online business helps to reach out to a greater mass which takes a long time if started off as an offline brand. Poddar recalls, “When we started 6 years back I realized I needed fashionable attire at a reasonable price. This being the inspiration, we created the brand keeping ourselves in the shoes of the consumers.” The perfect experience is a delightful customer after shopping irrespective of everything. There is a stylist in every store where they help the customer with style. How to break the mindset of consumers? Devendra Singh, Director, Digital Mantra, stated, “ In the last couple of years the digital phase has evolved. Now we have the automated search portal which helps answering all the questions.” Given the advent of technology one can order food sitting in the car and just receive it, reducing floor space. In case of out of sight out of mind scenario, the content comes to help. Mayank Garg, Founder, Sanjivani Pharmaceutical, commented, “Technology is something you cannot understand just by seeing it. The software we are using is easily market available. The difference is in its implications and the regular corrections.” Trust is important for us.